Today’s Ofsted report into the “free school” at the heart of a row about female teachers being forced to cover their hair appears to confirm that Muslim educational institutions are being singled out for unfair and unequal treatment. 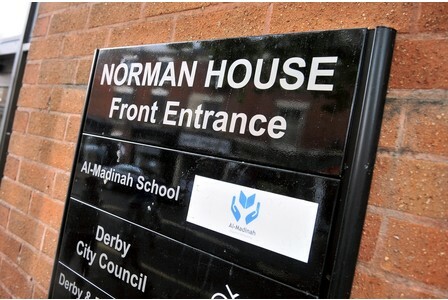 Although the inspectors’ findings are damning on an educational and management level, they found nothing to substantiate allegations that a “hijab policy” was in place at Al-Madinah Free School, nor indeed that male and female pupils were differentially treated or segregated. “Inspectors saw no evidence duuring the inspections of boys and girls being treated unequally,” said the report which was leaked to the press today. Ofsted’s concerns focus mostly on the way the school is mismanaged and how it is failing pupils. However, the mountain of criticism the school has attracted in rceent weeks from politicians and the media alike seems to have been built on little more than gossip and rumour. Last week, the Parliamentary Secretary for Schools, John Nash, threatened to pull the school’s funding if – amongst other things – it did not relax the so-called hijab policy. The Islamic Human Rights Commission believes that this emphasis on ostensibly illiberal Islamic practices is proof of a continuing witchhunt against Islamic faith schools in general that has as its aim the discrediting of the whole Muslim school sector. Al-Madinah’s treatment confirms the IHRC’s own research findings which show Muslims feel that the hijab is stigmatised and demonised. The findings can be found here, Hijab, Meaning, Identity, Otherization and Politics: British Muslim Women.